Reconstruction of Eomys quercyi, copyright Nobu Tamura. 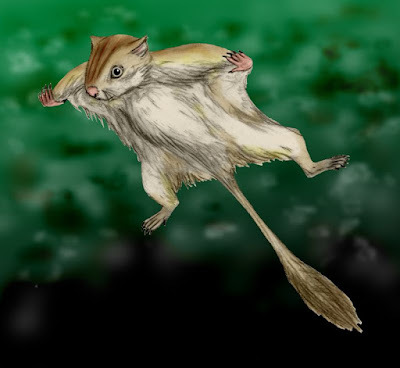 The Castorimorpha are a clade of rodents supported by molecular data including the modern Castoridae (beavers), Heteromyidae (pocket mice) and Geomyidae (gophers). [HH83] Hafner, J. C., & M. S. Hafner. 1983. Evolutionary relationships of heteromyid rodents. In: Biology of Desert Rodents. Great Basin Naturalist Memoirs 7: 3–29.